Most of the time I can fake my way through life, convincing strangers that I am a fully functioning adult. That is, until a situation arises that I should be able to maneuver with ease, and I realize I have no idea what I am doing. Like unclogging a toilet or cooking a steak. Those things are hard to fake. Domestic Parts. I never have the right kitchen tools. My mother-in-law has come to my house on numerous occasions and been appalled that I didn’t have a proper potato peeler or that I am missing the ¾ measuring cup. (I am a firm believer that estimation is a proper cooking technique. Besides, why do you need a ¾ measuring cup? Can’t you just fill the one cup three quarters full?) I am also unable to keep my sink clean or scrub toilets on a regular basis. I cannot for the life of me figure out how real adults have clean bathrooms every day. Lady Parts. How is it that I can be thirty-six years old and still have no idea when my period is going to start? And what is the deal with Softcups? How could I be so uneducated about the newest in period paraphernalia? Not to mention that for the life of me I cannot find a bra that actually fits. I mean seriously, after nursing three babies, I have resorted to buying bras in the kids’ section of Target. Nothing says I have this woman thing nailed down quite like bubble gum-pink bras with the word “sassy” printed on them. Friend Parts. I try really hard to be a great friend, but sometimes I am mystified by adults who can plan dinner parties and manage to look fantastic, while they mingle with every guest for just the right amount of time. Cut to me: I forget to text people back. I have small, undetectable panic attacks when someone calls, because I am secretly terrified of awkward phone conversations. On the other hand, I am an awesome gift giver . . . but will most likely give it to you weeks after your birthday. Mom Parts. Twelve years into this mom gig and I wish I could tell you that I have it mastered, but I don’t. I compare myself with other moms and feel bad for my kids that I don’t cut their sandwiches into butterfly shapes or make them pancakes every morning. Last year I sent my daughter to school dressed for pajama day, only to find out that pajama day was the following day. Not to mention that there was one month where we frequented Urgent Care four times in four weeks for two sets of stitches (head and chin), one broken arm (aggressive capture-the-flag injury), and one concussion (playground fail). Try explaining that to your pediatrician. But here is the rest of the truth: I am really good at snuggling. I make amazing hot chocolate, and I will do cartwheels in the front yard for hours. I don’t do chore charts, and my little tribe isn’t perfectly behaved, but we love each other like crazy. 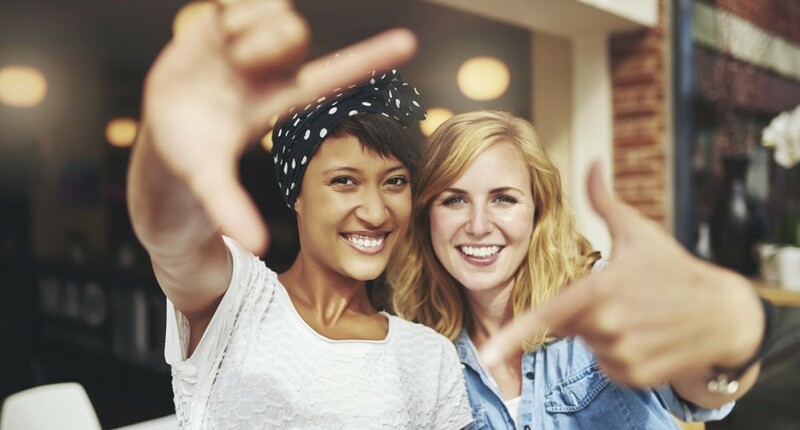 And my one saving grace, the thing that keeps my head above water in the mom department, and for that matter, in every department in my life, are my friends. Especially the ones who say, “Me too.” Friends who assure me that hiding in the bathroom to eat the last brownie without having to share is something we’ve all done. And two things I know for sure about being an adult friend: showing up is the most important thing you can do for someone, and taking your friend’s kids for a night will endear you to her forever. Could it be that the greatest myth of adulthood is that we should be able to do everything on our own? I think that if we can do this thing together, I just might have a chance. 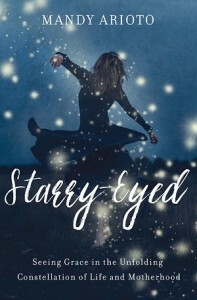 Enter to win Starry-Eyed, Mandy’s new book, and get a chance to read it before everyone else does! Starry-Eyed officially released August 30, 2016.